Czech Foreign Minister Karel Schwarzenberg said Tuesday that he supported Israel’s management of its conflict with Hamas, saying that it had a right to defend itself. The Czech Republic is set to take over the rotation presidency of the European Union from France on January 1. The Czech Republic, which takes over the European Union’s presidency on Jan. 1, defended Israel’s strikes against Hamas on Tuesday. “Let us realise one thing: Hamas increased steeply the number of rockets fired at Israel since the ceasefire ended on Dec. 19. That is not acceptable any more,” Czech Foreign Minister Schwarzenberg told daily Mlada Fronta Dnes in an interview. The EU has called for a ceasefire to end the violence that has killed almost 350 Palestinians. Czech Foreign Minister Karel C said Israel had the right to defend itself. Schwarzenberg, a staunch ally of Washington, said Hamas had excluded itself from serious political debate due to its rocket attacks on Israel. He also indirectly blamed the group for the growing death toll, saying it put its bases and gun warehouses in densely populated areas. “Why am I one of the few that have expressed understanding for Israel? … I am enjoying the luxury of telling the truth,“ Schwarzenberg told the daily. He said under the Czech EU presidency he would try to push through a policy that would lead to peace, saying “I would be very happy if it helped the Palestinians“. He said he would not support either side in the conflict but rather work as a mediator. The paper cited his office as saying he would take part in an extraordinary of EU foreign ministers in Paris on Tuesday evening to discuss the attacks. Apparently the Czech Republic is starting to decide that it can have a bit more influence in the international area. But what is perhaps of more prophetic interest is that the idea of a European mediator seems to be coming up. The Bible shows that there will be some type of seven-year peace deal that a leader from the area once dominated by the Romans (cf. Daniel 9:26-27) will be made, and then broken in the midst of it. Could 2009 be the year for this deal? To find out, we will need to heed Jesus’ admonitions and “watch” (Matthew 24:42; 25:13; Mark 13:33-37; Luke 21:36). Tonight, many around the world, including many who profess Christ will be celebrating New Year’s. Did you know that not only was this day not observed by early true Christians, even the Roman Catholic supporting Tertullian condemned it in the early third century? God’s year begins in the Spring. As if Things Weren’t Bad Enough, Russian Professor Predicts End of U.S.
MOSCOW — For a decade, Russian academic Igor Panarin has been predicting the U.S. will fall apart in 2010. For most of that time, he admits, few took his argument — that an economic and moral collapse will trigger a civil war and the eventual breakup of the U.S. — very seriously. Now he’s found an eager audience: Russian state media. “There’s a 55-45% chance right now that disintegration will occur,” he says. “One could rejoice in that process,” he adds, poker-faced. “But if we’re talking reasonably, it’s not the best scenario — for Russia.” Though Russia would become more powerful on the global stage, he says, its economy would suffer because it currently depends heavily on the dollar and on trade with the U.S.
Mr. Panarin posits, in brief, that mass immigration, economic decline, and moral degradation will trigger a civil war next fall and the collapse of the dollar. Around the end of June 2010, or early July, he says, the U.S. will break into six pieces — with Alaska reverting to Russian control. “It would be reasonable for Russia to lay claim to Alaska; it was part of the Russian Empire for a long time.” A framed satellite image of the Bering Strait that separates Alaska from Russia like a thread hangs from his office wall. “It’s not there for no reason,” he says with a sly grin. Interest in his forecast revived this fall when he published an article in Izvestia, one of Russia’s biggest national dailies. In it, he reiterated his theory, called U.S. foreign debt “a pyramid scheme,” and predicted China and Russia would usurp Washington’s role as a global financial regulator. Of course, the Russian professor is in error. But the idea that the USA’s days are numbered is starting to be recognized by more and more around the world. It is also true that Mexico is likely to get some additional territory once the USA is gone (though I generally do not agree with the professor’s assessment of the USA split as he proposed as the Bible indicates more of an annihilation of many parts, which would also affect Canada). Thus he shall act against the strongest fortresses with a foreign god, which he shall acknowledge, and advance its glory; and he shall cause them to rule over many, and divide the land for gain (Daniel 11:39). The “he” above is the King of the North. The United States (and to a lessor degree, its Anglo-allies) has the “strongest fortresses” (the strongest military) in the world today. I have speculated in the past that the “foreign god” is a new religious order of a more ecumenical form of Catholicism. And notice that the King of the North is to “divide the land for gain” (though not quite as the Russian professor has laid out–as much of the current USA will be dominated by, not simply a part of, the final European Beast power). The face of the LORD scattered them; He no longer regards them. The term translated as “scattered them” is the same Hebrew word (Strong’s 2505) used in vs. Daniel 11:39 translated as “divide”. It is also the same word used in Ezekiel 5:1-4 where the hair (apparently representing the U.S.A., etc.) is divided. 4 We pay for the water we drink, And our wood comes at a price. 5 They pursue at our heels; We labor and have no rest. 6 We have given our hand to the Egyptians And the Assyrians, to be satisfied with bread. 7 Our fathers sinned and are no more, But we bear their iniquities. 8 Servants rule over us; There is none to deliver us from their hand”. Notice that the above passage mentions Assyria, which is who God will use to punish the certain descendants of Israel, such as the U.S.A., etc. It may be of some interest to note that the Hebrew word translated as “gain” (Strong’s 4242) in Daniel 11:39 is the term translated as “price” in Lamentations 5:4. The word translated as “rule over them” in v. 8, is the same Hebrew word that is translated as “rule over many” (Strong’s 4910) in Daniel 11:39. Although this is not totally conclusive, Lamentations 5 is further scriptural evidence that the United States, etc. may be attacked in Daniel 11:39. And that is when the Great Tribulation would begin. This is the time of Jacob’s trouble” (Jeremiah 30:7). And the staff in whose hand is My indignation. And cut off not a few nations (Isaiah 10:5-7). Thus, despite not intending to destroy, the Europeans will. And while the end of the USA and its Anglo-allies is coming, it will not be quite as the Russian professor stated (it will be worse). Nor can the end come in 2009 or 2010, but it may just a few years later. Asia in Prophecy What is Ahead for China? Is it a “King of the East”? What will happen to nearly all the Chinese, Russians, and others of Asia? China in prophecy, where? Who has the 200,000,000 man army related to Armageddon? My soul is in anguish. How long, O LORD, how long? Turn, O LORD, and deliver me; save me because of your unfailing love. No one remembers you when he is dead. Who praises you from the grave? (Psalms 6:3-5 NIV). There are three very big ideas in this short passage. One is God’s unfailing love. I don’t have the words to develop that theme, but it calls to mind another Psalm in which it is revealed that God thinks about us, all the time. The second big idea is that no one thinks about God from the grave. It is an appeal that God would preserve my life. The third isn’t stated, but it is implicit: while we live, we should praise our God every day. And he is correct. God has unfailing love (see Universal Offer of Salvation: There Are Hundreds of Verses in the Bible Supporting the Doctrine of True Apocatastasis). And we should praise God every day. Natural disasters killed over 220,000 people in 2008, making it one of the most devastating years on record and underlining the need for a global climate deal, the world’s number two reinsurer said Monday. Most devastating in terms of human fatalities was Cyclone Nargis, which lashed Myanmar on May 2-3 to kill more than 135,000 people and leave more than one million homeless. Just days later an earthquake shook China’s Sichuan province, leaving 70,000 dead, 18,000 missing and almost five million homeless, according to official figures, Munich Re said. Around 1,000 people died in a severe cold snap in January in Afghanistan, Kyrgystan and Tajikistan, while 635 perished in August and September in floods in India, Nepal and Bangladesh. Typhoon Fengshen killed 557 people in China and the Philippines in June, while earthquakes in Pakistan in October left 300 dead. Six tropical cyclones also slammed into the southern United States, including Ike which, with insured losses of 10 billion dollars, was the industry’s costliest catastrophe of the year. 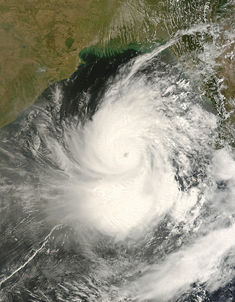 In Europe, an intense low-pressure system called Emma caused two billion dollars worth of damage in March, while a storm dubbed Hilal in late May and early June left 1.1 billion dollars’ worth. The earthquake in Sichuan province was the most expensive overall single catastrophe of 2008, causing around 85 billion dollars worth of damage, helping to make the year the third most expensive on record, Munich Re said. With 200 billion dollars’ worth of damage, only 2005, when a large number of hurricanes slammed into the southern United States, and 1995, year of the Kobe earthquake in Japan, wreaked more destruction since records began in 1900. According to provisional estimates from the World Meteorological Organization, 2008 was the tenth warmest year since the beginning of routine temperature recording and the eighth warmest in the northern hemisphere. This means that the ten warmest years ever recorded have all occurred in the last 12 years, Munich Re said. “It is now very probable that the progressive warming of the atmosphere is due to the greenhouse gases emitted by human activity. The weather machine is running in top gear, bringing more intense severe weather events,” it said. We live in perilous times, but the end is not yet. But it is coming relatively soon. Two Horned Beast of Revelation and 666 This article explains how the LCG views this, and compares this to Ellen White. Japan, Its Biblical Past and Future, Part 2: Prophecy Japan in prophecy. What is prophesied for Japan. Will God save the Japanese? When you are head of state of the country about to hold the EU presidency, you might normally be looking forward to a taste of the international limelight, and a busier, more prestigious schedule than usual. 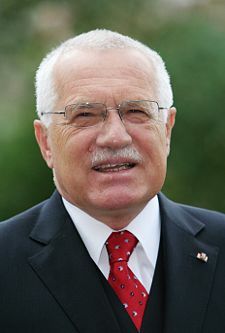 But Vaclav Klaus, president of the Czech Republic, may be relishing his country’s assumption of EU leadership in January for very different reasons – as an opportunity to publicise views which other EU leaders will not enjoy hearing. For Mr Klaus, a steely, bespectacled economist who came to sudden prominence after the Czechoslovak revolution against communism, is a vehement Eurosceptic. He believes the EU has echoes of the old Soviet bloc he used to live under. And he is also an enthusiastic challenger of European and international policy on everything from climate change to relations with Russia. Mr Klaus gave a foretaste of what the EU can expect on an official visit to Ireland in November. Upsetting his Irish hosts, he ostentatiously visited Declan Ganley, leader of the successful Irish No campaign against ratification of the EU’s Lisbon reform treaty. Klaus compared Ganley and his supporters to dissidents in the old communist bloc – which angered many former Czech dissidents who suffered persecution and imprisonment for their views. So during the coming months he will brood in his residence in the castle high above Prague, refusing to fly the EU flag, while, his critics hope, the Czech government is left to enjoy its time of European prominence in the city below. We in the Living Church of God have long held that while Europe would unite, but have also held that its unity would be fragile. The Iron and Clay of Europe. The “iron and clay” of the European Union was again evident when Britain and France met recently to discuss finances without Germany. Former German Foreign Minister Joschka Fischer (age 60) granted a poignant interview to the German tabloid Der Spiegel, stating that Germany has been accused of “watching from the sidelines” as Europe deals with the global economic meltdown. He argued that Germany must resume its role as a “leader” in Europe and be willing to work, “even with the French.” Mr. Fisher chided, “Why does Germany always say no, instead of assuming a leadership role?” He cautioned that Germany cannot “go it alone,” or “the European Experiment will fail.” Mr. Fisher reiterated his continued belief in a two-speed Europe, where a handful of nations, including Germany and France, will take the lead. He concluded by saying that Germany and Europe must invest more heavily in the U.S., or the U.S. will turn toward its other “creditors in the Pacific,” forced to focus on the nations to whom it is indebted (Der Spiegel, December 22, 2008). The Bible highlights the divisive, iron-and-clay nature of the end-time…Beast power (Daniel 2:33, 41-44; Revelation 17:7-15). Having an EU president that disagrees with the goals of the EU is certainly an example of a fragile union. But, the Bible shows that for a while, once the one the Bible also refers to as the King of the North rises up, despite its fragile nature, Europe will temporarily prevail. In his sermon in Detroit yesterday, which he titled God’s Witness is Ending, Part 2, CGPFK’s Ronald Weinland called for a church-wide fast for January 3, 2009. If people want to get upset with me about those things in the book, so be it. The fact is that if Ronald Weinland was God’s prophet and final witness, he certainly would have not made the type of mistakes he made. The first trumpet was blown on December 14th…Hail and fire mingled with blood. It doesn’t say it is immediate…the first trumpet is not like that…it is all spirituallized away….that’s right…they are very spiritual in nature…it’s about judgment. Nothing like that happened two weeks ago, though December 14, 2008 was Ronald Weinland’s date (see 1260 Days: Ronald and Laura Weinland Back in Jerusalem). People need to compare what Ronald Weinland declares with the Bible and they will see that he is a false prophet. Additionally if 2008 was GOD’S FINAL WITNESS, more people would have heard from the two witnesses. But relatively few have heard of Ronald Weinland, and even less his wife Laura–who he declared to have been the second of the two witnesses on April 17, 2008 (see Ronald Weinland Again Calls for Death). Well, 2008 is basically over. Ronald Weinland has been proven false, yet some still follow him. Eventually, hopefully those who still are following him will actually depend more upon their Bibles than his explanations and writings. No one should follow this repeatedly proven false prophet. Concerns About Ronald Weinland’s Church of God-Preparing for the Kingdom of God Ronald Weinland falsely claims to be one of the two witnesses God is raising up and that the end will come in 2008. Is he a false prophet? He has at least one other view that suggests that he is not part of the COG. Who is the King of the North? Is there one? Do biblical and Roman Catholic prophecies point to the same leader? Should he be followed? Who will be the King of the North discussed in Daniel 11? Is a nuclear attack prophesied to happen to the English-speaking peoples ofthe United States, Great Britain, Canada, Australia, and New Zealand? When do the 1335 days, 1290 days, and 1260 days (the time, times, and half a time) of Daniel 12 begin? End of Mayan Calendar 2012–Might 2012 Mean Something? There is a Mayan calendar prediction for change in 2012. 2012 changes were also centuries ago predicted by the Hopi Native Americans and the Hindu Indians (who were not even on the same continent). Do these Mayan/Hindu/Hopi prophecies have any value? Why might Satan have inspired this date? Can the great tribulation start before 2012? Contrary to various claims of self-appointed ones (Ronald Weinland may be the one once associated with the old WCG getting the most coverage falsely claiming this), the Great Tribulation has not started and cannot begin in 2009. Some criticized me when I pointed out last year that it could not start in 2008 (see Great Tribulation Will Not Begin in 2008 and James Malm Challenges COGwriter). And although there were various troubles this year, the Great Tribulation did not begin then. I simply noted that before the Great Tribulation could begin that there needed to be a King of the North, a King of the South, and European military that would be quite strong (cf. Revelation 13:4). Because of this deal not yet being made (that “he” will be the one who will become the King of the North), there is at least 3 1/2 years (half of a prophetic week) before the Great Tribulation can begin–which means that the earliest year it could possibly begin is in 2012. And I suspect it will be a bit later than that. Additionally, while there are the beginnings of certain organizations that will probably contribute to the rise of both the King of the North and the King of the South in 2008 (see Deal Leading to Psalm 83? ), they are not ready yet. I have had four European trips in the last five years (last one in October 2008), and can state that the Europeans are simply not ready to fulfill their role as the supporters of the King of the North – the Final Beast military power, yet. Although the Europeans agreed this month that they need a 60,000 man rapid development force (http://www.dw-world.de/dw/article/0,,3872362,00.html), they do not even have that yet. In order to be able to destroy the United States and its Anglo-allies, the Europeans would also benefit from having their own military satellite tracking system–and while that may not be an absolute requirement, they will not have their own ready until around 2013 (see EU Approves Galileo For Military Use). Additionally, Europe still has not benefited from its Large Hadron Colider project–which may be where it will develop a major military advantage (see September 10th is Not the End of the World), which it would seem to need to fulfill biblical prophecy (cf. Revelation 13:4). And as mentioned before, since the deal in Daniel 9:27 has not been made, it will be at least 3 1/2 years before the King of the North can stop the sacrifices. Of course, the sacrifices must start before they stop. And while it is remotely possible that regular sacrifices will start in 2009, that is remote. But even if they do, they will not be stopped by the King of the North in 2009. As far as the King of the South goes, there simply is not a confederation of Islamic nations that work close enough together in order to be led by the King of the South. While it is true that there are two groups that ultimately may ultimately allow this (see Iraq & the King of the South and Mediterranean Union Makes Deal With Israel and Arab States)–the situation in the Middle East is not quite ready yet. The Islamic Mahdi has not yet been recognized, and while that is remotely possible to occur in 2009 (and some suspect that Barack Obama may help that, see Barack Obama in Islamic Prophecy? ), the King of the South also will not be ready militarily to fulfill prophecies such as those in Daniel 11:40. 14 And this gospel of the kingdom will be preached in all the world as a witness to all the nations, and then the end will come (Matthew 24:14). Although God did use Herbert W. Armstrong as a witness, the 21st century world as a whole has not had an adequate witness for the end to come (see also Should the Church Still Try to Place its Top Priority on Proclaiming the Gospel or Did Herbert W. Armstrong Change that Priority for the Work?). I strongly believe that God will more powerfully use the remnant of the Philadelphia era of the Church of God to proclaim the good news of the The Gospel of the Kingdom of God and that the “short work” of Romans 9:28 will still happen–but even though the Living Church of God is busily continuing the Philadelphia-era work that it will not be able to complete this work in 2009. And of course, since the 6000 years of God’s plan apparently has several years left (see Does God Have a 6,000 Year Plan? What Year Does the 6,000 Years End? ), the fact that all the other signs mentioned in this update are not ready yet (though events seem to be working towards that objective), the Great Tribulation simply cannot begin in 2009. 6 And you will hear of wars and rumors of wars. See that you are not troubled; for all these things must come to pass, but the end is not yet. 7 For nation will rise against nation, and kingdom against kingdom. And there will be famines, pestilences, and earthquakes in various places. 8 All these are the beginning of sorrows (Matthew 24:5-8). 15 “Therefore when you see the ‘abomination of desolation,’ spoken of by Daniel the prophet, standing in the holy place” (whoever reads, let him understand), 16 then let those who are in Judea flee to the mountains. 17 Let him who is on the housetop not go down to take anything out of his house. 18 And let him who is in the field not go back to get his clothes. 19 But woe to those who are pregnant and to those who are nursing babies in those days! 20 And pray that your flight may not be in winter or on the Sabbath. 21 For then there will be great tribulation, such as has not been since the beginning of the world until this time, no, nor ever shall be (Matt 24:14-21). The end is coming. The end is soon. But the end (meaning the beginning of the Great Tribulation) will not start in 2009. Nor can the Great Tribulation start prior to 2012. Why is a Jewish Temple in Jerusalem Not Required? Although people like Timothy LaHaye teach a third Jewish temple is required, who is ‘the temple of God” in the New Testament? GAZA CITY, Gaza Strip (AP) — Israeli warplanes retaliating for rocket fire from the Gaza Strip pounded dozens of security compounds across the Hamas-ruled territory in unprecedented waves of airstrikes Saturday, killing at least 155 and wounding more than 310 in the single bloodiest day of fighting in recent memory. Hamas said all of its security installations were hit and responded with several medium-range Grad rockets at Israel, reaching deeper than in the past. One Israeli was killed and at least four people were wounded. Israeli leaders approved military action against Gaza earlier in the week. Past limited ground incursions and air strikes have not halted rocket barrages from Gaza. I do admit to having been somewhat premature concerning the timing of these matters, I still stand on my position that this war will result in ultimate victory over extremism and the achievement of a semblance of Peace and Safety (security) 1 Thes 5:3, over the next few months. I was correct on the basic facts, just very slightly off on the timing. 3 For when they say, “Peace and safety!” then sudden destruction comes upon them, as labor pains upon a pregnant woman. And they shall not escape (1 Thessalonians 5:3). The current Gaza incursion is not the ultimate fulfillment of the “No peace” warning. It is yet future. It is obvious, that for years now, the United States has been working to establish a New Order in the Middle East. Persuant to this goal, they are determined to change the regime in Iran. At the same time, the tensions between Israel and her Palestinian, Iranian and Syrian adversaries are escalating rapidly. In the event that conflict does break out, the US can quickly bring Iran to it’s knees by a heavy bombing campaign against the Revolutionary Guards and an occupation of Khuzestan Province. Meanwhile, Syria and the Palestinian militias are no match for Israel. Regardless of how events work out, it is apparent that victory for the Judeo American forces is a virtual certainty. Finally bringing an END to ISLAMIC EXTREMISM and the dream of PAN ISLAM. Such a victory would damage and isolate the Palestinian and Iraqi militias, forcing them to seek an accommodation with their enemies. Thus allowing the United States and Israel to declare that PEACE AND SECURITY had been achieved Dan 8:25 and 1 Thes 5:3. IF these events begin to occur, we should expect that SON OF PERDITION 2 Thes 2:4-12 to quickly be revealed. He will, as the counterfeit lamb, call for a new order in Europe. Proclaiming that they should make an IMAGE (LIKENESS, REPLICA) of the Roman system Rev 13:11-18. IF a peace agreement were to be enforced by large numbers of peacekeepers from this new system in Europe, the potential for a confrontation between the ANGLO AMERICAN JUDEO EGYPTIAN coalition (THE KING OF THE SOUTH, please see our page by that title) and the rising HOLY ROMAN EMPIRE would be significant. It is written that ISRAEL, JUDAH and EPHRAIM will fall together Hos 5:5 and that EGYPT will fall with them Dan 11:40-42. It is also written that the reason for Judah’s fall will be God’s anger at them for trying to steal land, moving border markers Hos 5:10. And that they shall fall suddenly in a time of PEACE Dan 8:25 and 1 Thes 5:3. The USA, its Anglo-Allies, and Judah fall BEFORE Egypt per Daniel 11:39 (see Who is the King of the North?) as a result of the deals in Daniel 11:27 and Psalm 83. James Malm, PCG’s Gerald Flurry, and others who do not understand this are mistaken. …the city (Jerusalem) was destroyed in circa 70 ad Dan 9:26-27. Now, in an email I received from James Malm shortly after writing the above, he indicates that Daniel 9:26-27 is dual and he believes it has a future fulfillment. And while that is good that he realizes it, since that deal has NOT been made, the Great Tribulation cannot begin for at least 3 1/2 years from then. And as the Great Tribulation cannot begin now or in 2009 (see Can the Great Tribulation Begin in 2009, 2010, or 2011? ), those readers who are listening to prophetic interpretations of those outside of the Living Church of God are being misled now and will be misled in the future unless they change. And according to various scripture, that change needs to be preferably soon. 11 And He Himself gave some to be apostles, some prophets, some evangelists, and some pastors and teachers, 12 for the equipping of the saints for the work of ministry, for the edifying of the body of Christ, 13 till we all come to the unity of the faith and of the knowledge of the Son of God, to a perfect man, to the measure of the stature of the fullness of Christ; 14 that we should no longer be children, tossed to and fro and carried about with every wind of doctrine, by the trickery of men, in the cunning craftiness of deceitful plotting, 15 but, speaking the truth in love, may grow up in all things into Him who is the head–Christ– 16 from whom the whole body, joined and knit together by what every joint supplies, according to the effective working by which every part does its share, causes growth of the body for the edifying of itself in love. 17 This I say, therefore, and testify in the Lord, that you should no longer walk as the rest of the Gentiles walk, in the futility of their mind, 18 having their understanding darkened, being alienated from the life of God, because of the ignorance that is in them, because of the hardening of their heart; 19 who, being past feeling, have given themselves over to lewdness, to work all uncleanness with greediness. 20 But you have not so learned Christ (Ephesians 4:11-20). Being independent (see Independent Members of the COG: Herbert W. Armstrong Comments, Plus Questions and Answers), not being focused on proclaiming the gospel (see Should the Church Still Try to Place its Top Priority on Proclaiming the Gospel or Did Herbert W. Armstrong Change that Priority for the Work? ), and not accepting proper church governance (see Polycarp, Herbert W. Armstrong, and Roderick C. Meredith on Church Government) leads people to become misled. 16 For God so loved the world that He gave His only begotten Son, that whoever believes in Him should not perish but have everlasting life. 17 For God did not send His Son into the world to condemn the world, but that the world through Him might be saved (John 3:16-17). 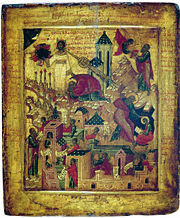 While about 30% of the Bible is prophecy, many of the prophecies have to do with the fact that Jesus came to die for the sins of all of humankind and that God will offer salvation to all that ever lived (see Universal Offer of Salvation: There Are Hundreds of Verses in the Bible Supporting the Doctrine of True Apocatastasis). This part of the prophetic message is emphasized by the Living Church of God, but often missed by those outside of our fellowship. Persecutions by Church and State This article documents some that have occurred against those associated with the COGs and some prophesied to occur. Prophecy Obama: Prophecies of Barack Obama? Are there biblical and non-biblical prophecies about Barack Obama. Did Nostradamus predict Barack Obama dealing with the Antichrist? This is the longest and most detailed of the articles here related to prophecy and Barack Obama. Russia and China issued stark warnings on Wednesday about the impact of the crisis on their recently booming economies in 2009, with Moscow saying the downturn could spark unrest in the streets. Japan also approved a record-high budget aimed at avoiding the worst effects of the crisis and Germany prepared to pump billions of euros into the economy in a new rescue plan in a holiday season marred by a slew of economic bad news. “We need to take unprecedented measures when in an extraordinary economic situation,” Japanese Prime Minister Taro Aso said at a news conference after his cabinet backed the 980-billion-dollar (700-billion-euro) budget. “Japan cannot evade this tsunami of world recession. But by taking bold measures, we aim to be the world’s first to come out of recession,” he said. In Asian stock markets, Tokyo tumbled 2.37 percent and Chinese shares closed down 1.76 percent. 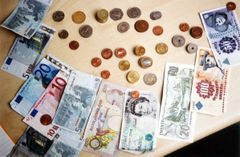 European stocks were also down, with the FTSE 100 in London down 1.03 percent and CAC 40 in Paris down 0.41 percent. However, the end (meaning the Great Tribulation) is not yet and will not occur for at least 3 1/2 more years. But there may rough times before it gets really bad. But people should not wait until the Great Tribulation to do what is right. 1 Gather yourselves together, yes, gather together, O undesirable nation, 2 Before the decree is issued, Or the day passes like chaff, Before the LORD’s fierce anger comes upon you, Before the day of the LORD’s anger comes upon you! 3 Seek the LORD, all you meek of the earth, Who have upheld His justice. Seek righteousness, seek humility. It may be that you will be hidden In the day of the LORD’s anger (Zephaniah 2:1-3). 10 Then the brethren immediately sent Paul and Silas away by night to Berea. When they arrived, they went into the synagogue of the Jews. 11 These were more fair-minded than those in Thessalonica, in that they received the word with all readiness, and searched the Scriptures daily to find out whether these things were so (Acts 17:10-11). It is my hope and prayer that those that do will support the Living Church of God and “gather together” with us before it is too late. Is There A Secret Rapture for the Church? When and Where is the Church Protected? What does the Bible really teach? Does the Church flee or is it taken up just prior to the great tribulation? Who really is left behind? You are currently browsing the Church of God News weblog archives for December, 2008.